Additional colors available for orders > $1,000. 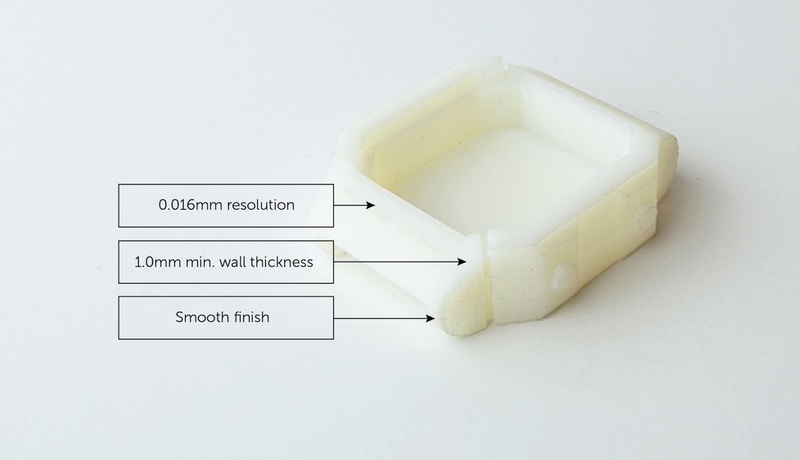 Vero is a high resolution 3D printing material that's excellent for checking your prototype's fit and accuracy. With its 16 micron resolution, this material works great for visual models, especially if they require painting. Vero is printed using PolyJet 3D printing technology, meaning that parts are made from a photopolymer resin and cured with a UV light. This is quite different from typical printing methods of of heating plastics or using a laser, which can lead to warpage or shrinkage on larger parts. VeroWhite is our high resolution 3D printed material. 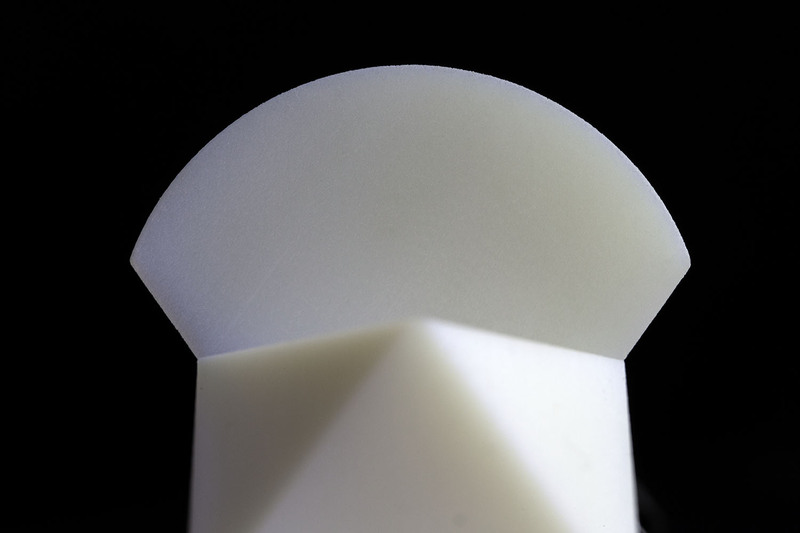 The material finish is an opaque white and is perfect for visual models and checking the fit and features of your prototype. The layering or stepping is minimally visible due to the color and high resolution of this manufacturing process. Internal cavities are highly discouraged with VeroClear due to the water-based support material that will swell and change the geometry overtime if left inside. Note that support material that has no direct line of sight inside a cavity cannot be cleaned out. For Vero, we recommend you use either press or heat inserts. For more information, check out our article on The Best Fasteners for 3D Printed Parts. Tolerance for Vero is +/- 0.004”, or +/- 0.001” per inch, whichever is greater.